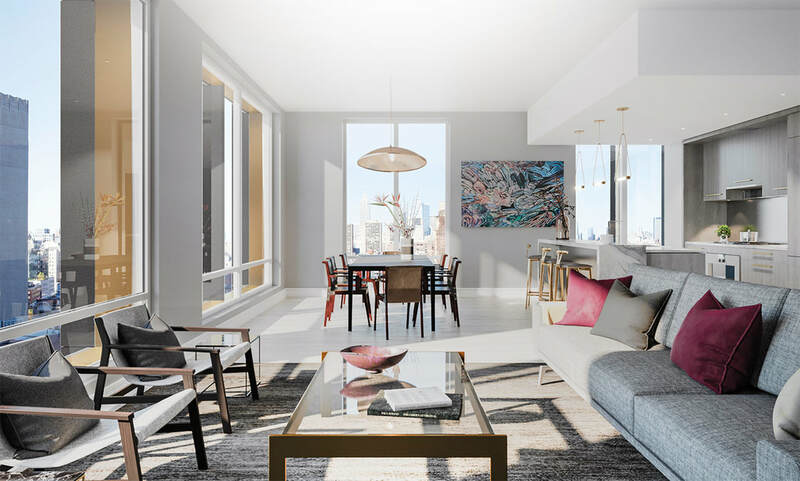 Luxury condo development in Tribeca built in 2016. 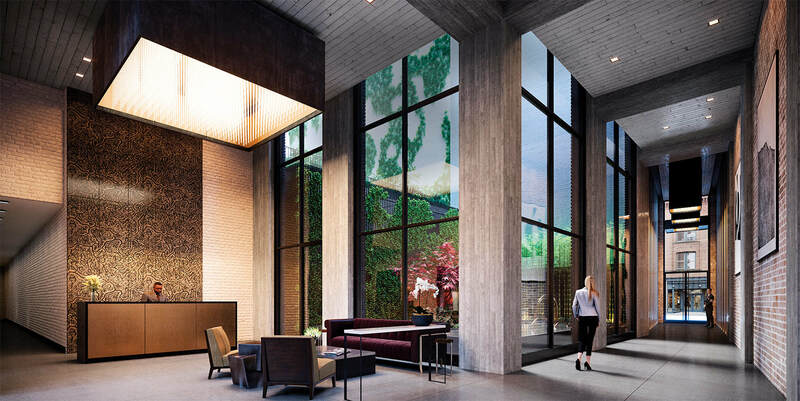 Developer: Toll Brothers; Architect: Skidmore Ownings & Merrill, and Hill West; Interiors: Whitehall. 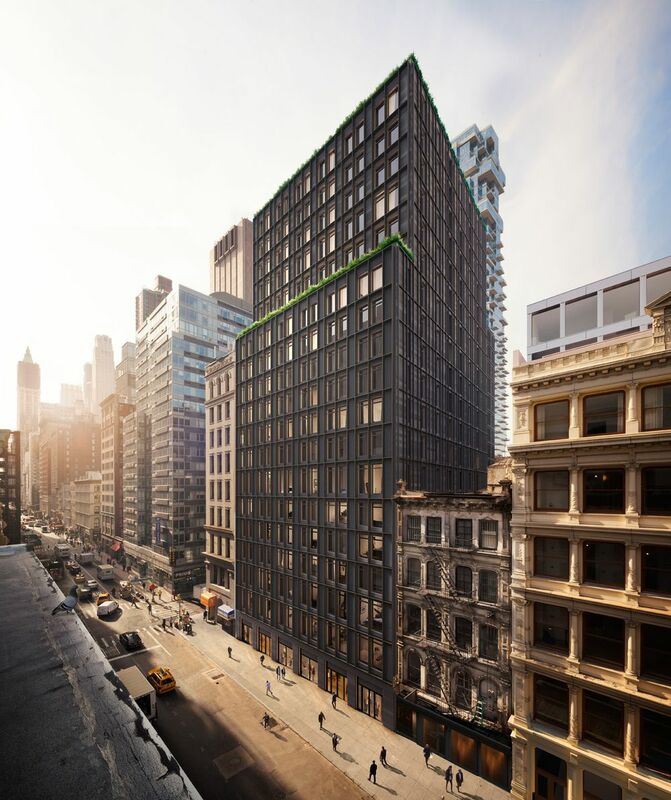 19 floors, 111 units. 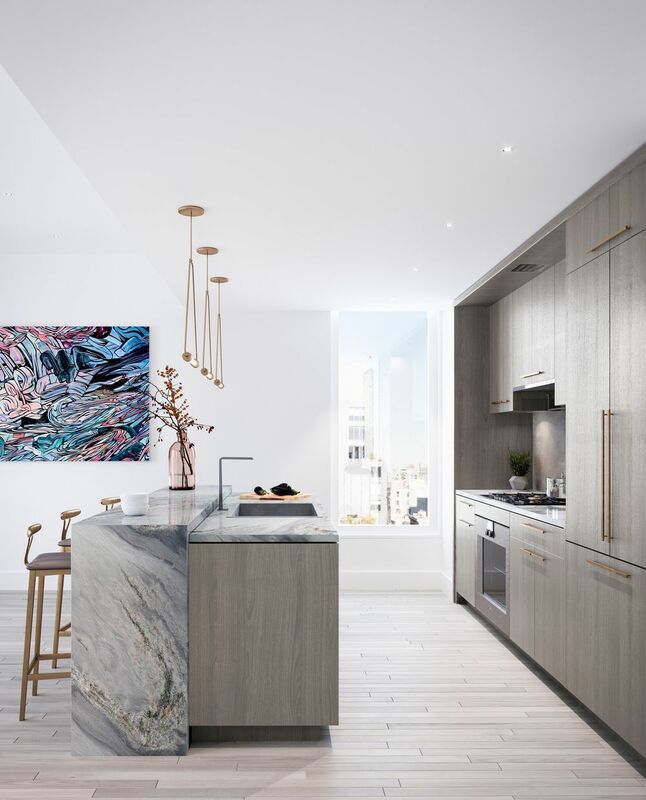 Combining inspiration from Tribeca’s rich architectural heritage with a confidently modern point of view, 91 Leonard offers the best of all worlds – brand-new construction in a legendary landmark neighborhood. 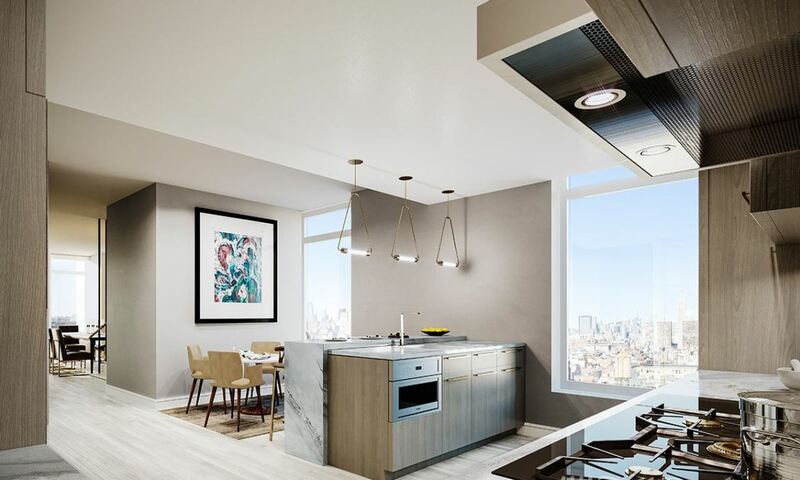 Developed by Toll Brothers City Living and designed by renowened architects Skidmore Ownings & Merrill, and Hill West, the distinguished 19-story building, with 111 loft-style residences, conveys a feeling of refined luxury infused with an industrial spirit. 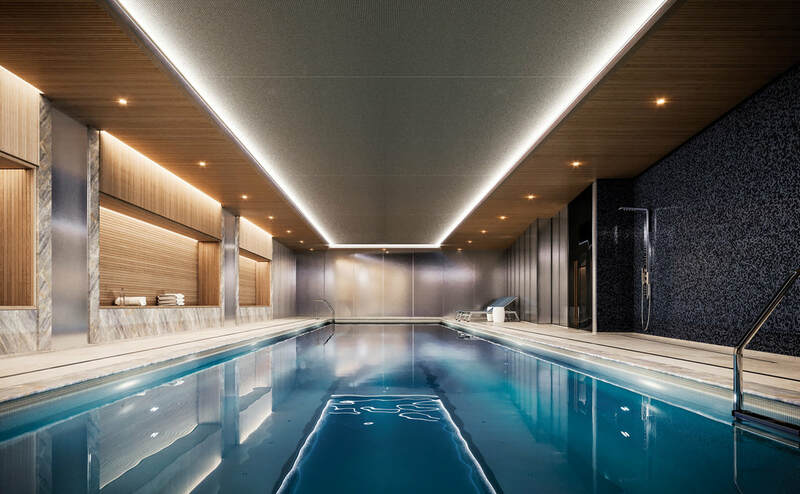 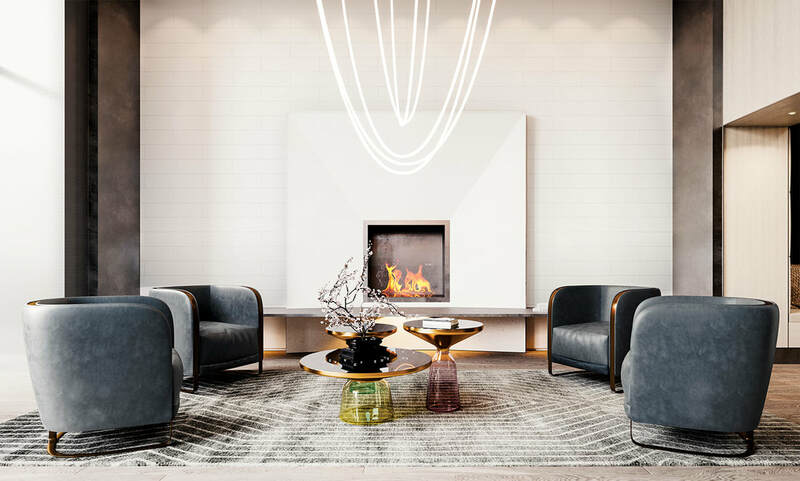 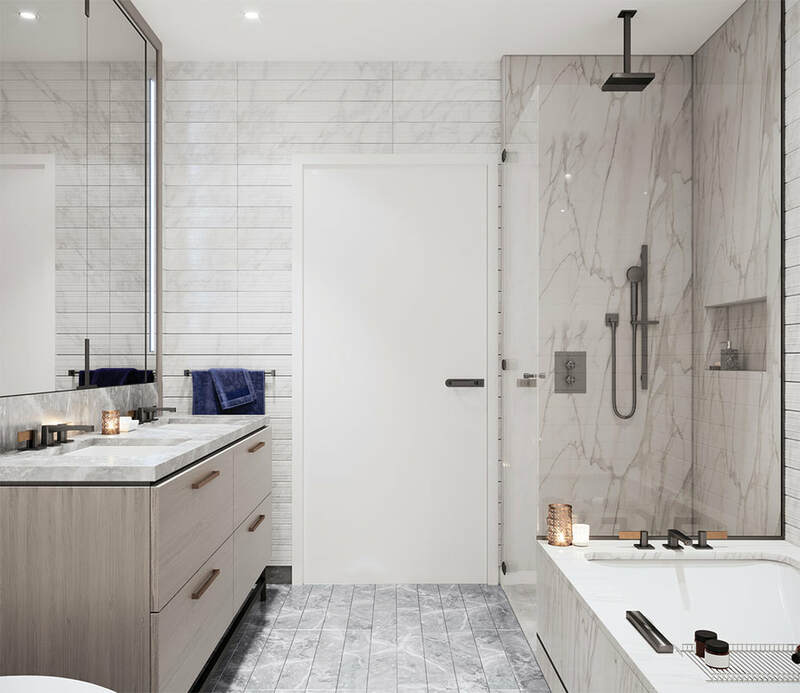 Inside, an expansive range of amenities, including a 24/7 attended lobby, residents’ lounge with secluded area and courtyard, pool, sauna, steam room, fitness center, children’s playroom, screening room, and rooftop terrace, elevates full-service living to new heights in Tribeca. 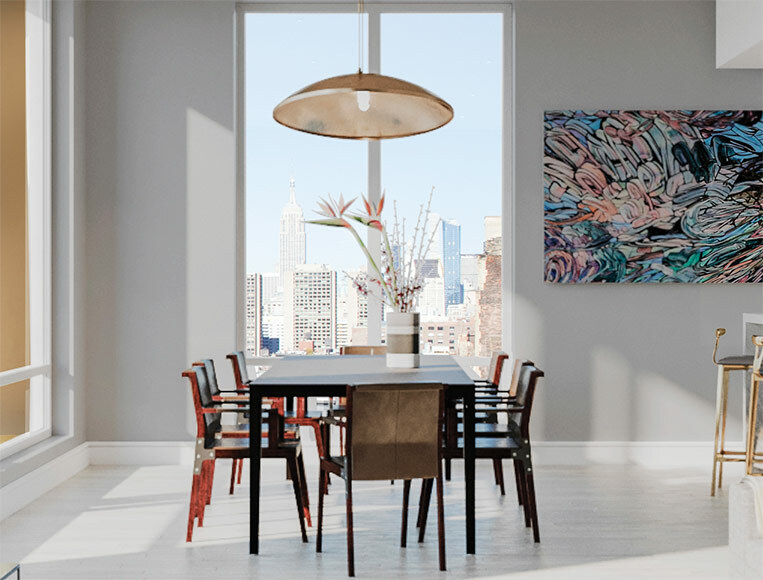 Prices: 1BRS from $1.39M; 2BRS from $2.52M; 3BRS from $3.35M; 4BRS from $5.2M.